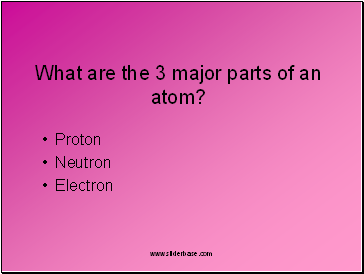 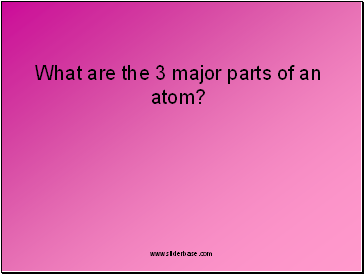 What are the 3 major parts of an atom? 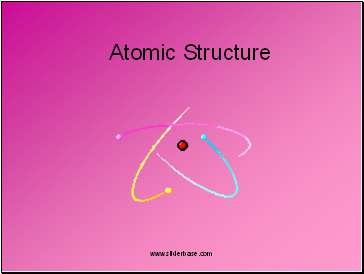 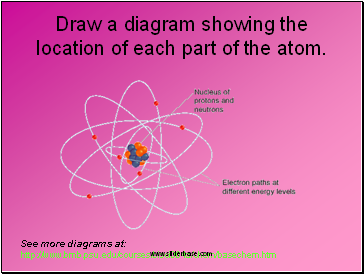 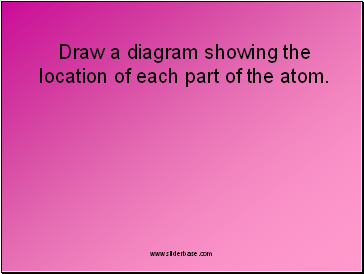 Draw a diagram showing the location of each part of the atom. 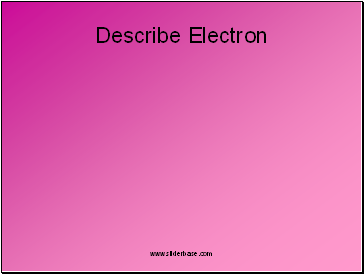 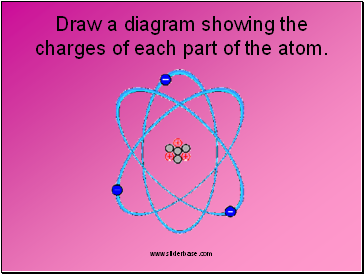 Draw a diagram showing the charges of each part of the atom. 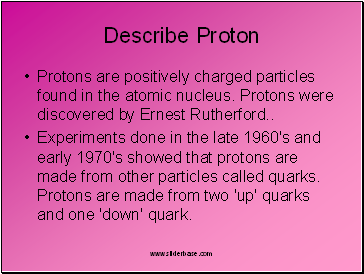 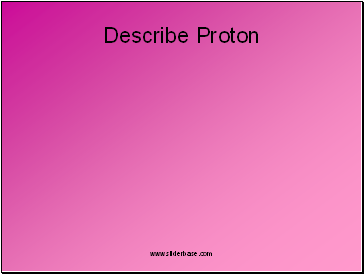 Experiments done in the late 1960's and early 1970's showed that protons are made from other particles called quarks. 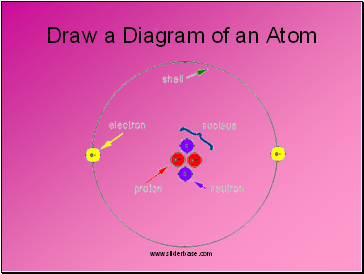 Protons are made from two 'up' quarks and one 'down' quark. 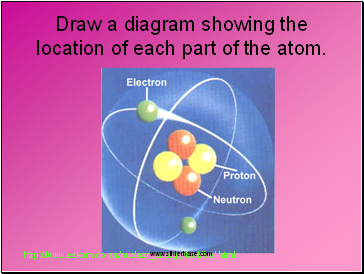 Neutrons are uncharged particles found in the atomic nucleus. 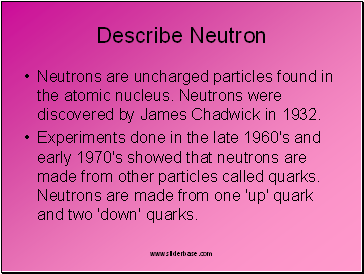 Neutrons were discovered by James Chadwick in 1932. 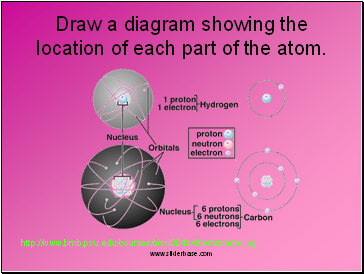 Experiments done in the late 1960's and early 1970's showed that neutrons are made from other particles called quarks. Neutrons are made from one 'up' quark and two 'down' quarks.